"Brooklyn Heights." Part of the Brooklyn Love Exchange. 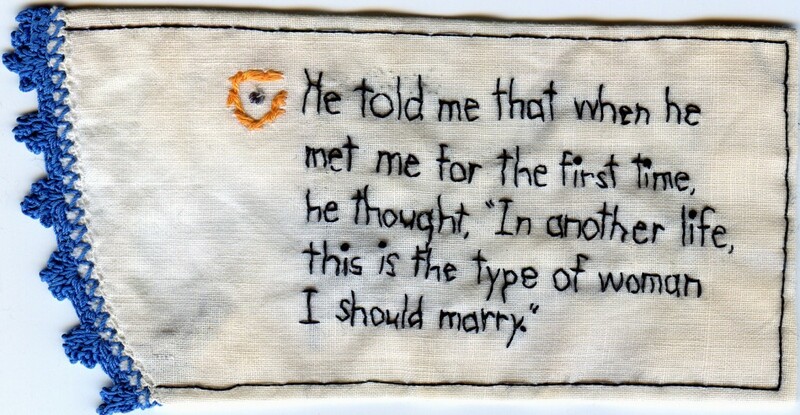 Embroidery on antique fabric. 2011. 3 x 5.6". In a private collection. This says, "He told me that when he met me for the first time he thought, 'In another life, this is the type of woman I should marry.'" They ARE now happily married!